Are Turkmenistan's Pipelines Pipe Dreams? Caught between the undelineated Caspian and a deteriorating security situation in Afghanistan, Ashgabat has few options. Earlier this week, as Russian missiles roared from the Caspian Sea toward targets in Syria – or into Iranian hillsides, depending on the altitude – all eyes remained focused on Moscow’s power-projection through the Middle East. However, it’s worth noting another audience to which Moscow directed its muscle: the Caspian’s littoral states. While all these states – Azerbaijan, Kazakhstan, Turkmenistan, and Iran – remain either nominal Russian allies or firmly ensconced in Moscow’s authoritarian camp, the tensions emanating from Caspian border demarcation and resource allocation remain as present as at any point since the fall of the Soviet Union. [Russia’s] targets were in Syria, but a message was sent to the other Caspian littoral states – Azerbaijan, Iran, Kazakhstan, and Turkmenistan – the Russian Navy rules the Caspian Sea. While the status of Russia’s naval hegemony in the Caspian wasn’t necessarily in question, the launches served as a useful reminder of the magnitude of such militaristic distance between Russia and the other states. And while Moscow doesn’t enjoy any noteworthy animosity with these states – or at least anything on par with that currently seen between Moscow and Brussels, or Moscow and Kyiv – disagreements and strains nonetheless remain. Notably, as Pannier correctly points out, tensions surround the status of the Trans-Caspian Pipeline (TCP). The European Union has already pledged receipt of Turkmenistani gas by 2019, landed, presumably, through the TCP, which would stretch from Turkmenistan to Azerbaijan and beyond. 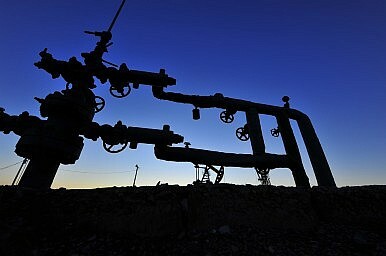 But whatever prior concerns existed about security within the Caspian – stemming largely from Russia’s unwillingness to see another outlet for non-Russian gas reach the European Union – have just been increased significantly. All of this comes to the detriment of Azerbaijan and the EU but especially impacts Turkmenistan. Now that China maintains a stranglehold on Turkmenistan’s gas exports, effectively keeping Ashgabat as a client-state, Turkmenistan’s been forced to cast about for external customers to escape Beijing’s grip. While President Gurbanguly Berdymukhamedov recently noted that the TCP remains promising, according to Trend, his rhetoric doesn’t lessen the reality that the TCP’s potential just took a large blow under Russia’s missile-launch. Meanwhile, considering everything we’ve seen out of and around Kunduz since September, concerns that security in northern Afghanistan could scuttle TAPI before it ever gets going are decidedly relevant. Again, Berdymukhamedov, per Trend, has claimed that all major issues with TAPI have been resolved. But whether it’s with TCP and TAPI, the discrepancies between Berdymukhamedov’s rhetoric and the reality on the ground remain as stark as the security issues embroiling both planned pipelines. Neither pipeline appears set for success at any point in the near future, no matter how much Berdymukhamedov may wish it.